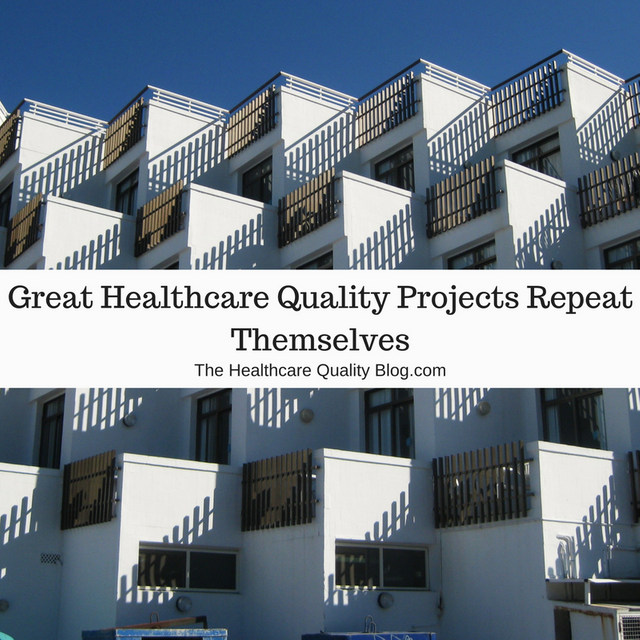 I've been amazed that the same projects recur across healthcare organizations. Is it just that we all face similar issues in healthcare? Is it that we like to rely on projects we've seen others do? Or is it that, while we develop as an industry from the dark ages of quality improvement, our first exposures to quality tools leads us all to the same inescapable projects? Whatever the reason, here is an example of a project that I've seen repeat across several organizations. This time, the focus is on reducing the un-necessary processing of many OR instruments. Here, it repeats in one of healthcare's most experienced, high-performing quality organizations: Virginia Mason. Click here for their original article or click the link beneath to visit The Healthcare Quality Blog. Nice work to the Virginia Mason team on completing this important project. If your organization has not yet thought about completing this particular project, you may find it very worthwhile!